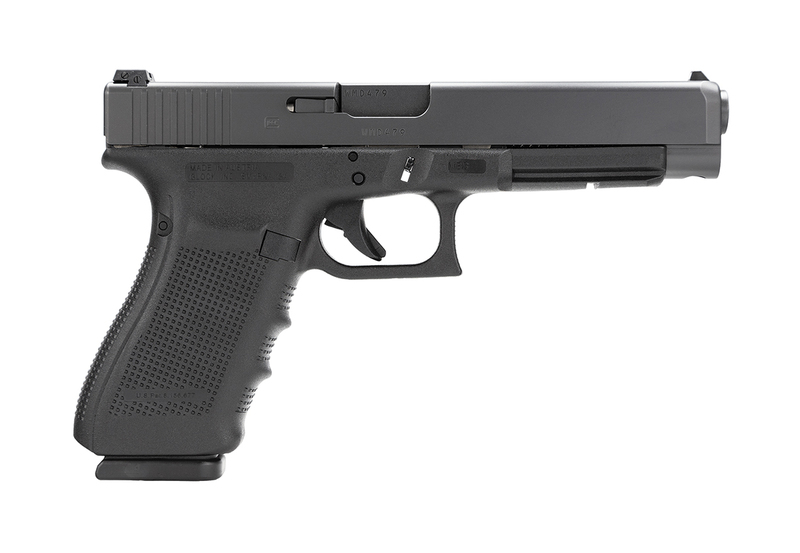 The newest practical/tactical Glock, the Glock 41 Gen 4 features a Glock 21 Gen 4 frame coupled with a reduced width slide. The extended 5 inch barrel lends to increased accuracy and performance on target. Features all the same features as other Gen 4 Glocks including a more aggressive textured grip, interchangeable backstraps, larger magazine release, and dual recoil spring system. An excellent choice for IDPA, USPSA, or law enforcement duty use. Comes with three 13RD magazines, lock, and case.